Description -The Kami Path, or, God Path. This path wears what all of Sanebo's paths wear. A large black cloak and ring with the center jewel designed with the Rinnegan pattern. Kami path is 6'2" and weighs 210 lbs. He is fairly thin but muscular. Under the black cloak that covers his body and arms is a red kimono. On the back of the kimono is a white square with the kanji letter for "god". Kami has long black hair and a short ponytail. His hair reaches down to his shoulders but goes down the neck of his cloak not over it. Kami has the chakra disruption blade piercings on his whole body. On his face, the only ones you can see, there are piercings on his ears, cheekbones, and three on his forehead. Description - Divine Air Control is kind of self explanatory. It allows the user to control and manipulate wind and air around him. This Jutsu can be used in conjunction with others and as a base for other techniques and attacks. The wind control is used through sight. The user looks at say a rock and a blast of wind shoots at it. This Jutsu allows the user to fly, block, attack, and accelerate objects. It does however have a limit. The user can only create up to six different manipulations of wind and air in existence at once. The manipulations also can stay in existence for up to one minute before that manipulation dissapears. When the user makes six manipulations at once there is a twenty second recharge before this Jutsu can be used again. The wind created and controlled by this Jutsu can break rock, break moderately weak metal, deflect metal, and damage the outside and do some internal damage (depending on decided strength by user) to the area of a creatures body that is impacted by this technique. This technique CAN be used to take ability to breath within a sphere in a 8 foot radius around user. However when used it cannot be used again for that purpose for a month. Description - This is a Jutsu that branches off from Divine Air Control. However it is more powerful and on a much larger scale. The user performs a dragon handseal and charges chakra in his palms. He then funnels the chakra and swirls it in his palms. The user flies into the air and stretches his hands out toward the ground (now high up in the air). A small ball of air appears in his palms, spinning at high speed and compressed with a large amount of chakra. The ball steadily inreases in size until it is a huge ball. The user can then shoot the enormous ball in any direction he likes. The ball will make a giant crater at the spot of impact and continue forward in a straight line. It cannot make craters or gashes in large, thick metal structures, however, this technique can break chakra hardened rock or other solid substances. Description - The Tengoku, or, Heaven Path. This path wears what all of Sanebo's paths wear. A large black cloak and ring with the center jewel designed with the Rinnegan pattern. Tengoku path is 6'1" and weighs 250 lbs. He is very big and muscular. Under the black cloak that covers his body and arms is a golden yellow kimono. On the back of the kimono is a white star shape with the kanji letter for "heaven". Tengoku has short frizzed black hair. Tengoku has the chakra disruption blade piercings on his whole body. On his face, there are piercings on his ears, where his dimples would be, he has piercings down his legs, not visible though, and two huge chakra disruption poles in his shoulders that are exposed through holes in the shoulders of his cloak. 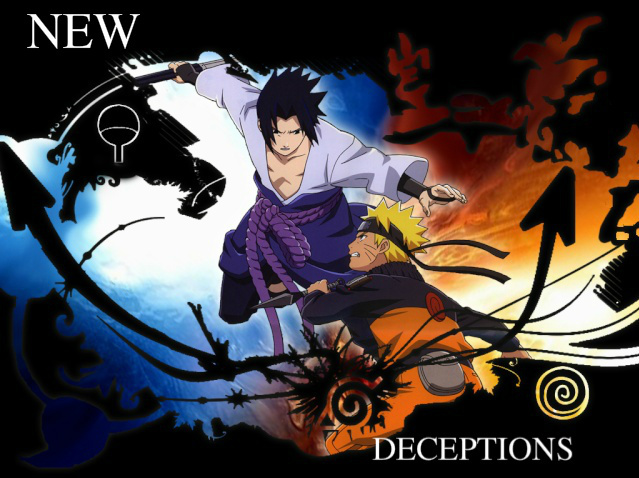 Description - This is a high-level Taijutsu combo that utilizes aerial maneuvers and chakra control. The user first sends chakra to their feet to enhance speed. They Body-Flicker behind the opponent and do a sweep at their off-leg. Then the user Body-Flickers in front of the opponent and goes down into a tripod using his arms and left leg as a stand and thrusting upwards with chakra in his right leg kicking the now falling opponent. The opponent is knocked into the air and the user performs Dancing Leaf Shadow. The user then grabs the opponents feet and spins them around, lets go, and jabs them with his foot. The user then continues to attack the opponent in any way they choose and finishes by driving their leg into the opponent's stomach, sending them smashing into the ground cracking the earth. The whole combo the users feet are chakra enhanced. Description - This Taijutsu is fairly complex, difficult to master, and is a devastating technique. The user spreads chakra to their entire body. They then sprint to their opponent's location. Then, due to the chakra enhanced speed, as if in slow motion, the user strikes the opponent sixteen times, eight arm attacks and eight leg attacks. They elbow the opponent to finish, sending them forwards, and run around to end up behind them. The user then knees the opponent into the air, striking three times, spins around like a ball in the air, and smacks the opponent down into the ground with a powerful kick. Description - The Tenbatsu, or, Damnation Path. This path wears what all of Sanebo's paths wear. A large black cloak and ring with the center jewel designed with the Rinnegan pattern. Tenbatsu path is 5'10" and weighs 178 lbs. He is pale and thin. Under the black cloak that covers his body and arms is an orange kimono. On the back of the kimono is a white star shape with the kanji letter for "damnation". Tenbatsu has smooth black hair that is parted to the right. Tenbatsu has the chakra disruption blade piercings on his whole body. On his face, there are piercings on the corners of his mouth and tongue, he has piercings down his arms and at the knuckle of each digit, not visible though, and two chakra disruption poles in his feet that are exposed through holes in the shoes he wears. Description - This jutsu is meant as a mid level Genjutsu to paralyze the enemy. The user molds chakra in his hands. He then takes a chakra disruption blade and swings it around like a baton in the sight of the target as if readying to charge at the target for an attack. This, if seen by the target (assumed obvious), activates the jutsu. When the Genjutsu is cast the enemy sees the user charge forward and shoot chains out of their sleeves. The chains wrap tightly around the target and the target feels as if he really is being strapped down by chains. This jutsu after the chains strap their target down, lasts for 30 seconds and during that time the target feels intense pain wash over their body. Description - This is a high level Genjutsu that is difficult to master. The user molds a high amount of concentrated chakra in there stomach and swirls it there. They then shoot the chakra out of their body into a sphere with a 30 foot radius around them. The second way to activate this jutsu is through chakra enhanced eye contact. When the jutsu is activated, the target(s if you used the area of effect way) experience a flash of light that blinds them for a few moments, and leaves them seeing only darkness afterwards. They only SEE darkness however, the effect at first is similar to Eternal Darkness Jutsu. The enemy won't know this however, it is most likely they will think they have been transported. After a few minutes of staggering in darkness, a large fiery gate rises out of the area in front of them. The gate opens, and a wave of fire pours out and wraps up the enemy, giving the feeling of 2nd-3rd degree burns. The fire wave pulls the target into the gate and they see their own version of Hell, the sight varying depending on the person. The images will still appear randomly in the targets sight even when they are shot out of "Hell" and back to the real world. This jutsu causes the enemy after the extreme effects in the beginning to lose focus of the battle and be frightened, disturbed, etc. depending on the images they see. Description - Divine Air Control is kind of self explanatory. It allows the user to control and manipulate wind and air around him. This Jutsu can be used in conjunction with others and as a base for other techniques and attacks. The wind control is used through sight. The user looks at say a rock and a blast of wind shoots at it. This Jutsu allows the user to fly, block, attack, and accelerate objects. It does however have a limit. The user can only create up to six different manipulations of wind and air in existence at once. The manipulations also can stay in existence for up to one minute before that manipulation dissapears. 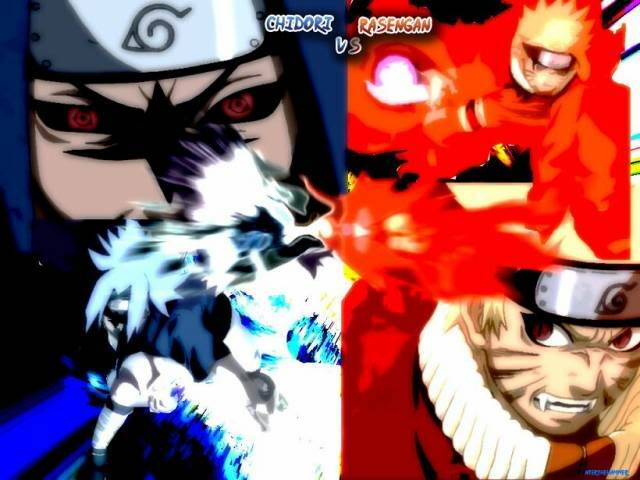 When the user makes six manipulations at once there is a twenty second recharge before this Jutsu can be used again. The wind created and controlled by this Jutsu can break rock, break moderately weak metal, deflect metal, and damage the outside and do some internal damage (depending on decided strength by user) to the area of a creatures body that is impacted by this technique. Basically this could make it where someone can not breath? hmmm no it controls the air around them i guess it COULD when used creatively make someone not breath never thought of that so its possible but mainly its meant as like transportation and air shields and missiles and stuff but yes technically it COULD take ability to breath. well it is "God" path and the most powerful of them but how about i just put a limit or drawback to taking ability to breath?